Sign up a for free class! Our students come from miles away to make sure they get the best possible training. Whether you live in South Lyon, Brighton, Wixom, Northville, or Novi, you won’t regret relying on us for your development in self defense. We are confident that once you become a student, you will continue at our Dojang. Therefore we don’t require contracts for anybody who joins. Why choose Choi Kwang Do? We are a professional martial arts school focused on fitness, focus, self-control and self defense. We teach children to adults (4 to 104 years old). Our styles are non contact so we do not spar. We do train to develop great power and focus in our techniques. Our family martial arts utilizes CKD styles. The Choi Kwang Do instructors will keep you fit from your very core where all training should start. Choi Kwang Do is designed to keep you fit from ages 4 to 104. The movements are designed to improve and increase mobility and range of motion. The punches and kick actually improve joint health and the core activation helps with balance and coordination. We are a family martial art school and we encourage the entire family to train. Choi Kwang Do emphasizes the use of biomechanics, and to employ a number of modern disciplines, such as kinesiology and psychology, in its design. The result is a tendency towards the use of natural body movements and sequential motion to develop optimum force on impact, this serves to place less pressure on the joints. The style also incorporates breathing and stretching exercises from yoga. Choi Kwang Do is not designed for competition, but for a natural and effective response to everyday stimuli and training is a mix of contact drills using pads and shields, non-contact drills and “in-fighting” close-quarter drills. 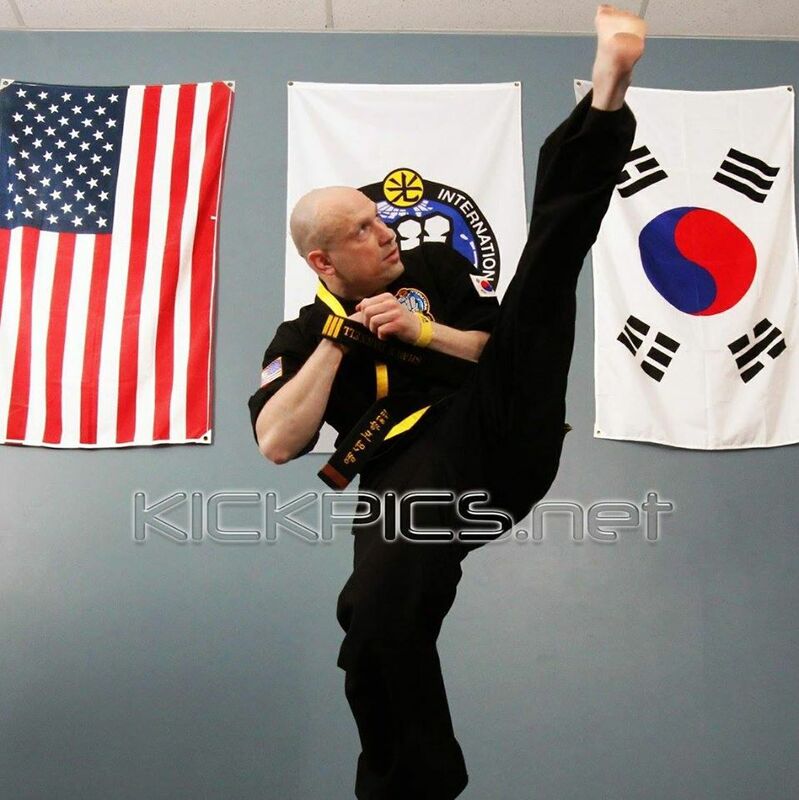 Individuals training in Choi Kwang Do focus on achieving optimum health and wellness by training at a moderate level of intensity in classes, rather than training at a high intensity for a competition. 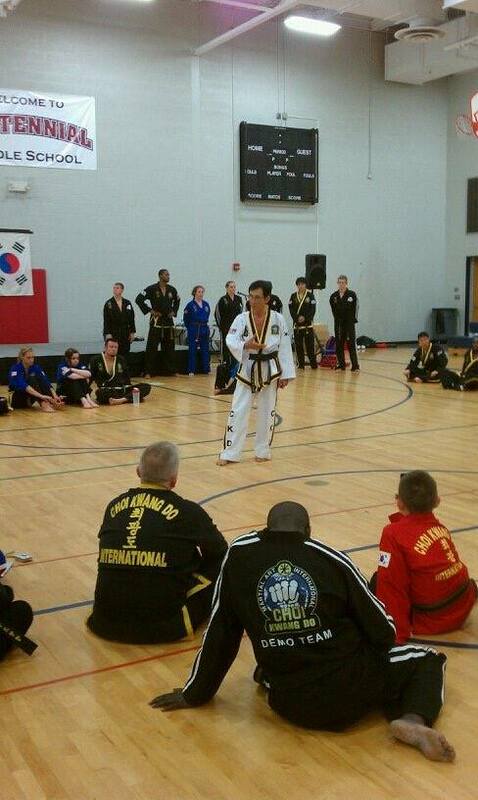 Choi Kwang Do classes are taught in a friendly, family-orientated atmosphere, and in a fun and easy to learn manner. The development of character and mental strength based on CKD principles is considered the most important overall goal in CKD training along with the attainment of proper technique. Our training focuses on instilling these elements of our philosophy in each of our students which are foundations for overall development not only in martial arts, but in all aspects of life. We believe that the best way for you to decide whether or not Choi Kwang Do is for you is to try it for yourself! You’ll experience some of the basic moves and watch the instructor demonstrate some of the advanced movements that you could also be doing! More importantly, you’ll get the chance to ask questions “face to face” and explore the benefits of Choi Kwang Do. Simply fill in this form and we’ll contact you to arrange your Free Trial Class. We really hope to see you soon and introduce you to the wonderful world of Choi Kwang Do.